Download the word list (as a Word document) for the whole book from the OUP Teacher’s Club. 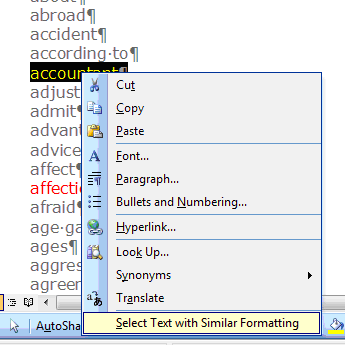 Copy and paste the words in the first three files into a new Word document. 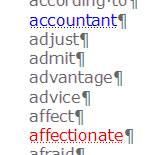 Remove all the underscores by using Edit, Replace. Remove the tabs (^t) in the same way. 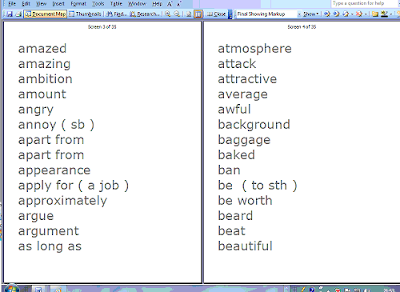 Remove any headings and select all the words. Go to Table, Sort and get the words in alphabetical order. I added sth and sb to the box of words not to be checked. 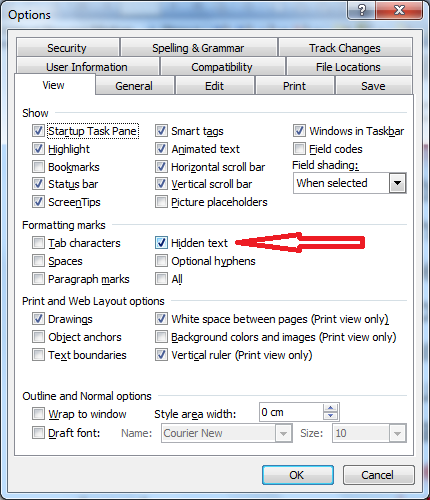 Click on Submit and then carefully copy and paste the new list with difficult words coded in red and blue into yet another new Word document. Do the same with a red word. 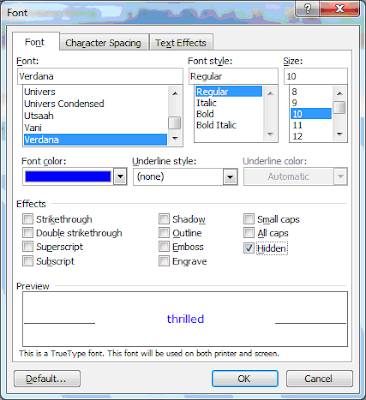 These words are visible on screen, but not when you print the list. If I wanted to print them, I would make 3 or 4 columns. It would be a 3 or 4-page document.